It's not an unusual question. We all wonder from time to time if this world of freelancing from home is worth the extra time and effort it takes to be successful. Naturally we usually find plenty of reasons that it is, in fact, worth the hassles and stress. To name a few: freelance writers who work at home enjoy schedule flexibility, more time with family, freedom to enjoy other daily pursuits and the lack of any office politics, drama or boss. But there are things about freelancing at home that cause us to doubt from time to time, and if you're just starting out and trying to build a home career, it's natural to have a few panicky moments - or maybe more than a few. The trick is finding ways to make it work for you. If you're thinking about working at home, you probably already have a mental picture of what you'd like it to be like. Spend some time day dreaming about what you'd like to experience. Would you work late and sleep late? Would you work while the kids are in school? Are you looking to work just during naptimes so that you can enjoy your children when they are awake? Now that you have a picture in your mind, it's time to link it to your reality. We'd all love to make big money out of the gate as a freelancer, and you probably have a minimum amount you really NEED to make if you're going to have a real go of it as a freelancer. But is it all realistic for your situation? If not, you're only going to continue having your panic attacks and questioning your choices. For example, if you're bound and determined to make six figures this year as a freelance writer, you're going to need lots of time and flexibility. You'll need to have your writing finger in plenty of projects to add some diverse income streams and there will be lots of marketing and writing time required. If your schedule is totally free, you have this time and flexibility. If you're still working at your full-time job or you have the kids at home full-time, quite simply - you don't. That's not to say you can't dream big, but if your writing fantasy involves waking up in a mansion and slipping out by the grotto in your backyard, steaming cappuccino in hand to work on your laptop as the sun rises, you're going to have a hard time marrying that to your reality of dirty diapers at 6am and a school bus run to make at 7. It's not that your dream won't ever happen - it's just likely that you'll need to work up to it. After all, you're in this for the long haul, right? So if you realize that your dreams aren't a good fit for your reality, you have a few options. You can change your dreams completely, you can change your reality, or you can simply make tweaks and adjustments until you reach a good compromise. This naturally, takes time to happen - so plan for patience as you work to make your new life fit together. Once you've meshed your dreams with your current reality, it's time to get down to work. If you have realized that you'll only have a few hours to work each day without winding up in a mental institution from stress and nerves, decide how to make the most of that time. Specializing is the fastest way to profitable work, and it will be easier for you as well. Some people swear by easy, cheap assignments as they fit into a busy schedule in small bursts of productivity. Others swear off the cheap stuff and stick to the higher paid gigs that may be more complex, but pay off with less work overall. Since it's your dream and reality you're meshing here, I'm not going to tell you what to do to actually earn your freelance money. I will tell you that there are plenty of highly-paid jobs that fit into part-time work easily enough if you're able to invest the time in the marketing to find them. Finally, if nothing else, realize that what you're trying to do now won't last. That's not a scare tactic - it's actually encouraging news. As your situation changes, your skills improve and your life ebbs and flows, your freelance work will change directions and smooth out to fit into the new curves of your life more easily. 1. You can only change your reality to a certain extent - make your dreams mesh with what you have now. 2. Take the long view of freelancing - do what you need to do on a daily basis to make the long term plans you have work. Patience. 3. What you're doing now can and will change. Sometimes you make the changes and sometimes life makes the changes, but always stash some extra cash away and try to navigate the changing waters to make sure your big dreams are always meshing with your new reality as best they can. Yes, you can start freelancing from home. If you are trying to coordinate freelancing with a full-time job, it’s more challenging to find the time to both obtain assignments and do the work. On the other hand, a steady source of income provides the peace of mind for a smoother start. For some, it may be better to start freelance writing while working the 9-5 job. 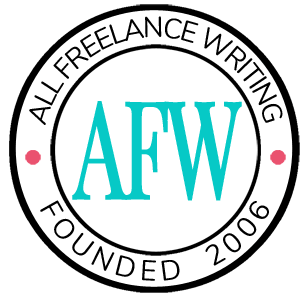 You’ll still have your monthly income in addition to freelance writing income. Whatever you do, don’t tell anyone about your freelance writing business, especially those at work. If you must share your good news, share it with people who understand entrepreneurship. Also, figure what you want to write. Do you want to write SEO copy or advertising copy? What about blogs vs. articles? What niches interest you? Make a list and review it until you have a solid understanding of what you’d like to write. After that, go for it! Amandah: I just started freelancing full-time, but spent the last four years working part-time or full-time while freelancing part-time, and I was always 100 per cent up front with my employers about freelancing. All of the businesses I worked for were totally supportive of my freelancing career. I understand that being up front might not always be possible, but in my experience, my employers and co-workers were very supportive.